American Gutter, Inc. is state licensed, VSI certified and is fully covered for workers’ compensation, general liability and automobile insurance. Jacksonville Residential seamless gutters are a prime choice for many homeowners who want to give their property investments the best defense against the onslaught of rain and snow. Because of their unique anatomy, seamless gutters are highly effective at managing rain, snow, and debris so you won’t have to worry too much about clogging or breakage. The only thing smoother than seamless gutters is our fool proof installation process. Give your home that well-deserved improvement and be ready for whatever the world throws at your property by calling us in to install your Jacksonville residential seamless gutters for you. Unlike traditional gutters, seamless gutters need a lot more customization and adjustment. With many years of experience in the business, we pride ourselves in our ability to fabricate seamless gutters to fit your property perfectly. 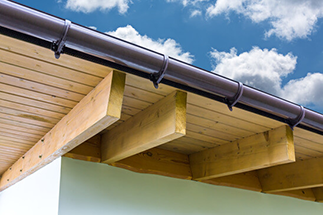 Enjoy a product made entirely for you and reap the benefits of professionally fabricated, custom made seamless gutters guaranteed to give your home that extra protection it needs. We understand how many homeowners dread having workers take over their home. Long, time-consuming home improvement projects could sap the peace of mind from any homeowner. But these worries fade when you hire a job with us. Our well-groomed professional gutter installation specialists are trained to get the job done in record time while maintaining the neatness of your property, saving you both the stress and the hassle of having to clean up a big mess. Don’t take risks with other names in the business – we’re the best one there is. Contact us and book your residential seamless gutter installation today! © 2019 Copyright American Gutter Inc.